Sail Raja Ampat 2014 - are big ticket events a good thing? Sail Raja Ampat: The mooring facility and onshore development being built in the bay at the foot of the runway. 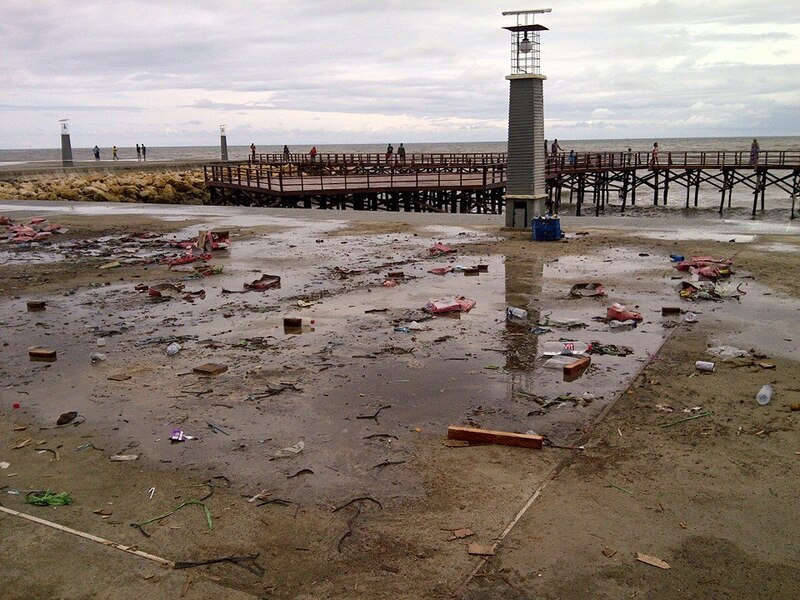 Sail Raja Ampat: Rubbish on the beach at MPA patrol post being used as package tour stopover at Dayan Island, Batanta. 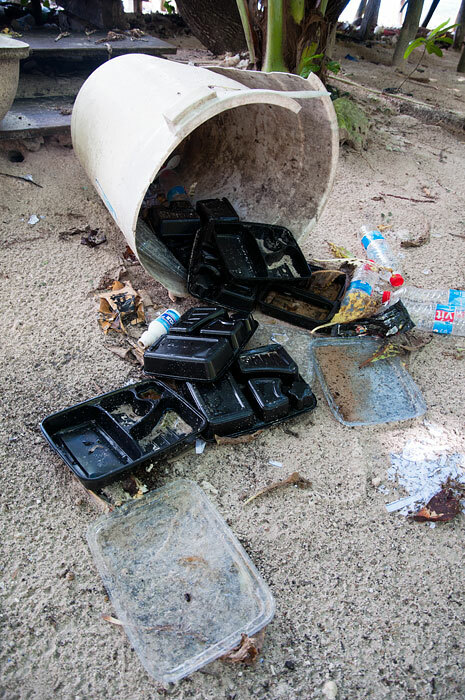 Sail Raja Ampat: Discarded instant meal trays left by package tour guests at MPA patrol post on Pulau Dayan, Batanta. Sail Raja Ampat is coming! The signature event of the year and the biggest extravaganza ever mounted in the islands, Sail Raja Ampat is making a huge impact. The question that remains to be answered though, is will that impact be positive or more akin to a giant meteorite strike? Sail Raja Ampat is the 2014 edition of the annual Sail Indonesia event organised by Yayasan Cinta Bahari Indonesia (YCBI). In past years the focus of the event has been Bunaken, Banda, Wakatobi-Belitung, Morotai and Komodo. 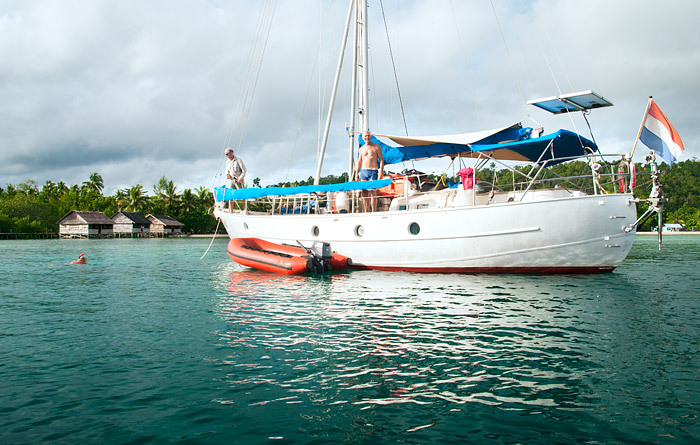 2009’s Sail Bunaken was the most successful to date, with 127 vessels taking part. To be opened by no less a VIP than the Indonesian President Susilo Bambang Yudhoyono himself, the Raja Ampat regency government expects Sail Raja Ampat 2014 to give a huge boost to the region’s fledgling tourism industry – and also no doubt to their prospects in this election year. Despite the best efforts of the regency government and the company of troops fielded by the Kodam XVII Cenderawasih military unit who were reported to be “working day and night” on the engineering aspects of preparations, Sail Raja Ampat’s official opening ceremony had to be postponed from June 21 to August 22. The postponement was only officially announced in mid-June, which raises the question of what effect it will have on the 57 vessels so far registered as participants. One would imagine that many of the international participants would have already been enroute by the time of the announcement! 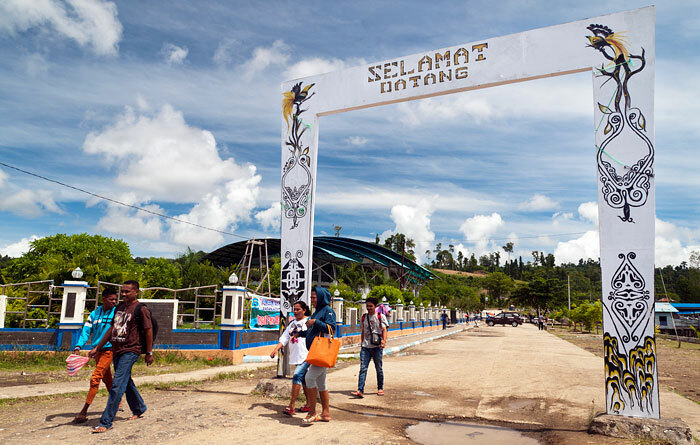 The Raja Ampat regency government has declared the expenditure of USD 14.655 million on infrastructure catering to participants and visitors for Sail Raja Ampat 2014, the effects of which are most noticeable in the Waisai street and beachfront beautification programs that have been progressing over the last several months. Somewhat less visible but having far more impact on the local environment has been the construction of a mooring area, wharf and onshore facilities for visiting boats. 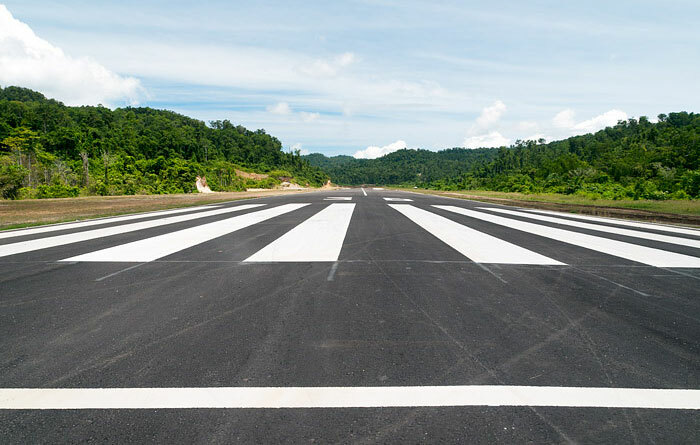 Located to the west of Waisai in the bay at the foot of Waisai’s Marinda Airport, this development and the associated construction of a terminal building at the airport has seen land clearing and road building that’s caused significant silting in the bay and nearby ocean. While Sail Raja Ampat is a one-off event designed to stimulate the local tourism economy, Raja Ampat’s Marine Protected Areas (MPAs) are the permanent foundation of that economy. In 2014, the UPTD KKP Raja Ampat (the authority responsible for the administration of enforcement patrols in the MPAs) received a total government budget allocation of USD 88,000 – which was a substantial improvement on 2013’s USD 58,600. Current UPTD KKP Raja Ampat expenditure on administration and patrols however, is USD 1.1 million per year – a shortfall which is currently being funded by foreign donors. Raja Ampat government expenditure on Sail Raja Ampat thus represents just over 13 years’ worth of the real cost of MPA patrols, or 166 years’ worth of local government’s current level of commitment to MPA protection. Sail Raja Ampat is being promoted as a landmark event for Raja Ampat and despite participant registrations being less than half that of 2009’s Bunaken event, tourism officials are expecting over 3000 visitors. There’s no doubt that the various contracts let and jobs created during the event preparations will bode well for the relevant government ministers’ re-election prospects, but lasting long term benefits would seem less likely to materialise than those visitor numbers. 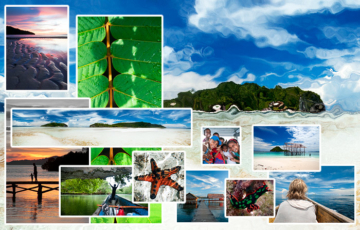 Raja Ampat’s profile as a tourism destination is already on a meteoric rise, as any survey of tourism publications and online searches will demonstrate. In light of this, it could be argued that the government would have reaped a far greater long-term benefit by devoting the resources allocated to Sail Raja Ampat to some of the problems likely to have a negative impact on visitor perceptions. There are a few of those, but the most obvious is the lack of efficient waste management in the islands. 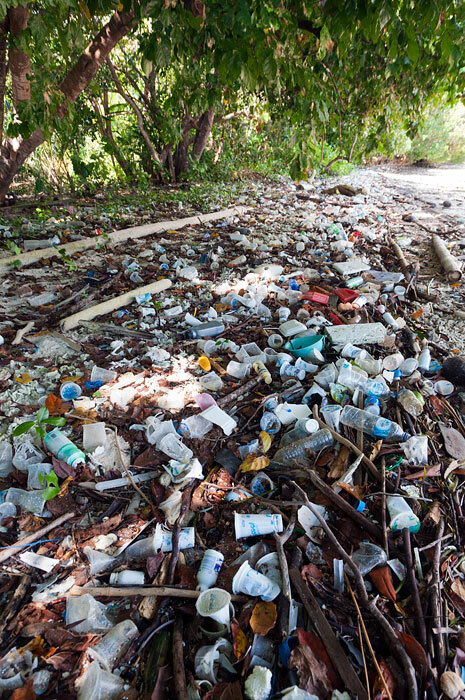 This, coupled with the laissez-faire attitude of the domestic package tour industry regarding waste disposal is contributing to ever increasing amounts of trash in the sea and on the islands’ beaches. The local government also expects Sail Raja Ampat to dramatically increase the demand for services supplied by local eco-tourism operators, and have encouraged Raja Ampat Local Homestay Business Enterprise Association members to commit to large capital investments in providing extra rooms. There’s no doubt that the more easily accessible homestays near Waisai will see some benefit from the event, but it’s far more likely to be by way of providing tours, meals and souvenirs than by providing accommodation. Many homestays struggle to achieve viable occupancy rates as it is. Inducing those to build extra capacity on the assumption of a substantial increase in visitor numbers is optimistic at best and culpably negligent at worst. It could be assumed that the infrastructure developed to cater to the expected influx of visitors will serve some long term benefit, but the reality of that is far from clear. Additionally, the environmental damage resulting from the Sail Raja Ampat development program seems not to figure in the cost/benefit analysis. 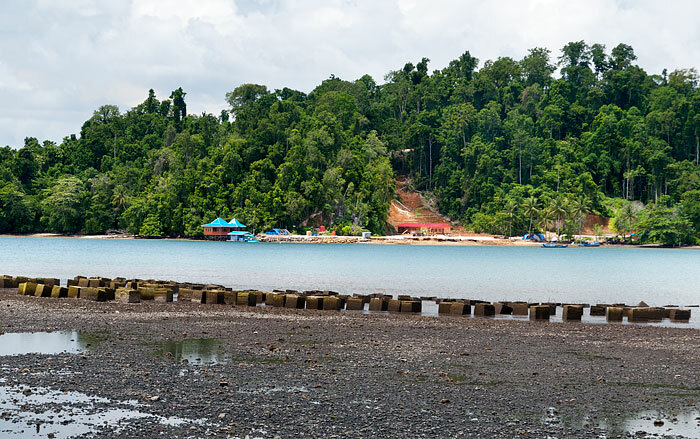 There have also been reports of villagers being asked to contribute to the construction efforts at the Sail Raja Ampat facility by supplying wooden poles. 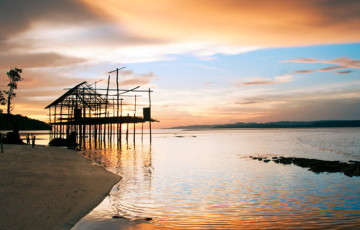 When the villagers asked where they were supposed to harvest the poles from, local officials allegedly told them to cut them from nearby mangroves – an act that is prohibited by law and would at any other time result in the prosecution of the offender. Also of concern are reports of habitat destruction caused by roads built for resource extraction to supply the construction program at Marinda. One accommodation provider told this writer that one such road destroyed the display site of a Wilson’s Bird of Paradise that the homestay had been taking visitors to observe. Hopefully the bird escaped and was able to rebuild elsewhere, but for the establishment concerned the income stream provided by the tours and guest opportunities to see this Raja Ampat icon have been destroyed until another display site can be located. 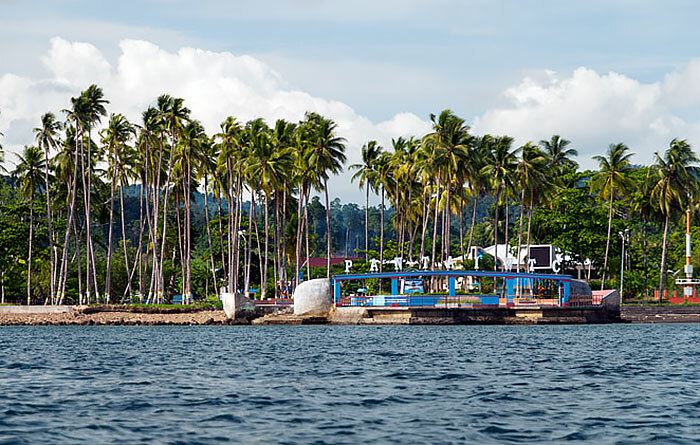 It remains to be seen whether the facilities built for Sail Raja Ampat will serve any useful function after the event. Indeed, given the number of beautiful anchorages available in the islands, one wonders if any yachtie in his right mind would moor in a muddy bay at the end of an airport runway. The associated accommodation facilities being built on land also beg the question: Why would I stay in one of those instead of in my comfortable shipboard cabin? Furthermore, given the site’s location, it’s difficult to imagine any tourism related use it could be put to after Sail Raja Ampat is over. Finally: In Raja Ampat’s equatorial climate all unmaintained infrastructure decays at a remarkable rate. If there’s no budget for maintenance of the roads, signs, street beautifications and buildings established for the event it won’t be long before they decay into ugly uselessness and the investment in their establishment wasted. 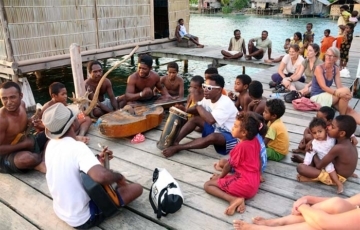 It may be that Sail Raja Ampat will yield a meaningful return on investment to some, but it seems to this writer that such an investment would be better spent and yield a benefit to a much wider range of the local community if it was directed to supporting a locally-owned and sustainable eco-tourism industry. Without the involvement and support of conservation-minded local communities and a commitment to proper self-funded and managed protection of Raja Ampat’s riches the tourism boom in Raja Ampat will be very short lived indeed. Support the community – support the reef. Again, excellent insight from you guys regarding development of Raja Ampat (especially the don’t-s). This typical ‘Laissez-faire’ approach may hurt more in the long term to this paradise. Expecting the locals to bear the initial cost (“local officials allegedly told them to cut them from nearby mangroves”), only can make me sigh in desperation. It’s very easy for me to say ‘blame the government’, but as individual, I myself have no clue how to help. I only can say, keep up the good work! I agree it’s easy to blame the government and difficult to know how to help as an individual. My feeling is that the best we can do as individuals is to support community based homestays and tour operators in their effort to create a sustainable tourism industry that will realise local people’s vision for life in Raja Ampat. When enough individuals act together, democratic governments inevitably follow! We’d love to hear from event participants and visitors to Raja Ampat regarding the issues addressed in this story. If you have observations, comments or stories of your own to relate please feel free to pitch in below. As always, all your feedback (minus identifying information) will be collated and presented to stakeholders and local government. Is there a cleanup budget now that the party’s over?